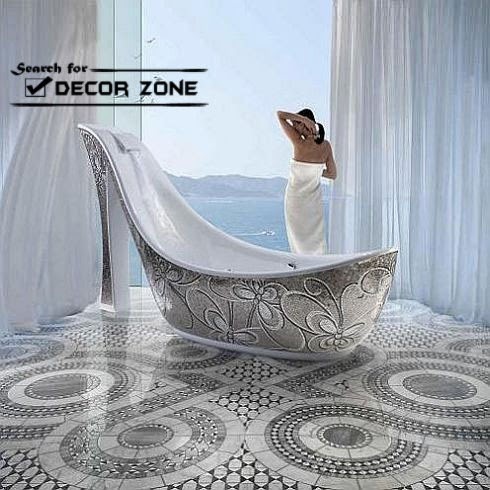 bathroom floor tiles : How to choose a tile design? How to combine floor and wall tiles? How to fit carpet tiles in the layout? 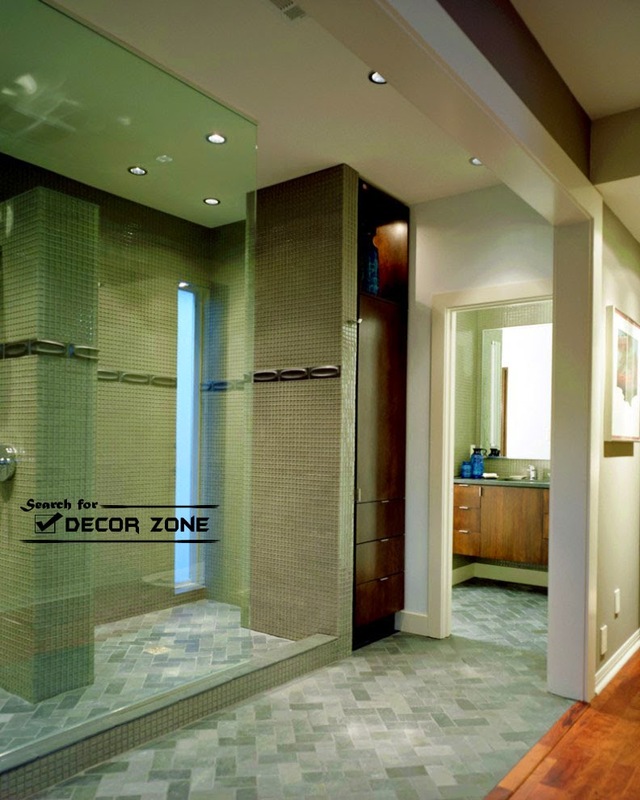 Designing your bathroom is one of the most exciting phases in the interior design. Here we have the opportunity to work with wall and floor tiles, mosaics. Design options for each of these coating materials are very much, they are diverse both in stylistic orientation, and shape, color and texture. Let's talk about the bathroom floor. How to choose a tile design? How to combine floor and wall tiles? How to fit carpet tiles in the layout? To all these questions we will answer in this article. 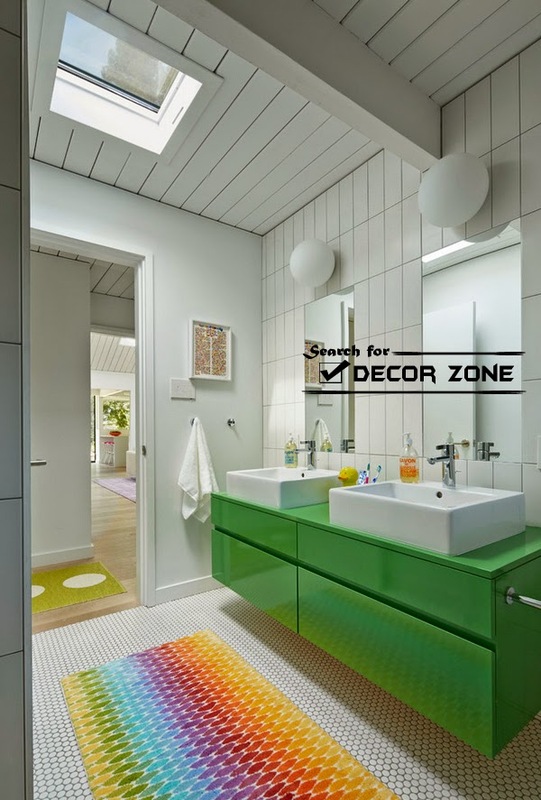 don't miss "Corner bath : designs, materials and features"
don't miss the previous article "bathroom tile designs : top 10 design ideas for inspiration"
You can choose the bathroom floor tiles that you want. But it must be combined in color with plumbing fixtures, furniture and bathroom wall tiles. Also follow the general stylistic direction. 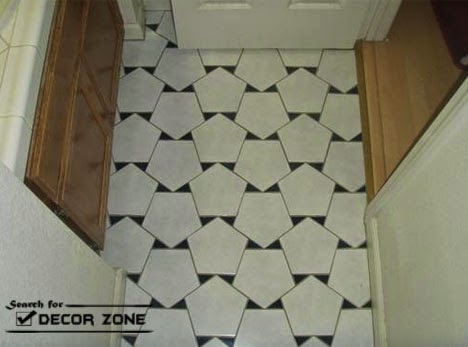 the most common choice of flooring in the bathroom. The main difference between the floor tiles and the wall tiles, is a first relief structure. Thus, you can safely walk on this floor with wet feet without the risk of slipping and falling. 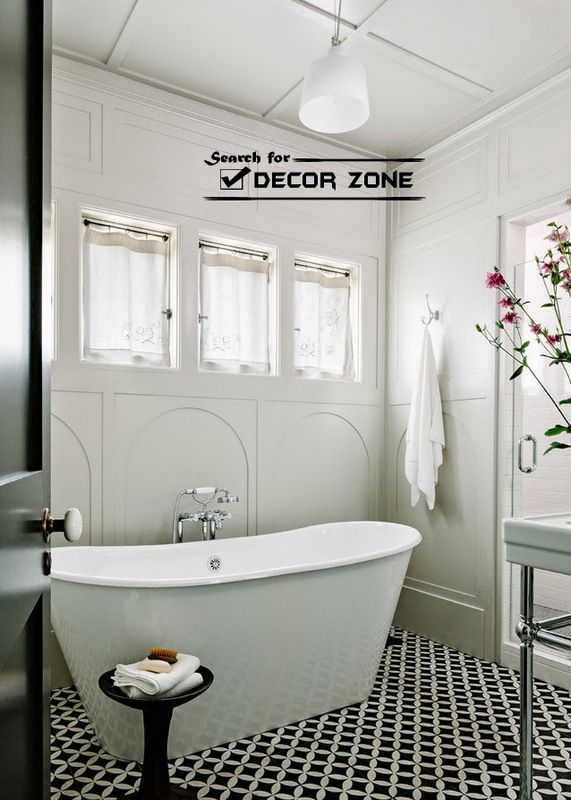 In places such as bathroom, it is not recommended to buy a glossy tile. It's very traumatic, so you should choose a raised texture. In addition to the classic square tiles, the market presents a huge selection of tile shapes (rectangular, hexagonal, octagonal, etc.). Demand is huge on mosaic tiles, they allowing you to create a truly amazing designs and ornaments. In addition, this tile is also very easy to install. Average parameters of floor tile thickness - 1.3 - 2 cm, and its dimensions can range from 10 cm to 1 meter or more. Here, you have to take the decision yourself - the smaller room and modest budget, the smaller tiles. This is not to say that the little tiles something worse - just when its layout less waste and visually pleasant to realize that the wall 15 fits, and even more tiles of medium size, rather than three huge. Besides, in such cases it is easier to make decorative patterns and combinations thereof. 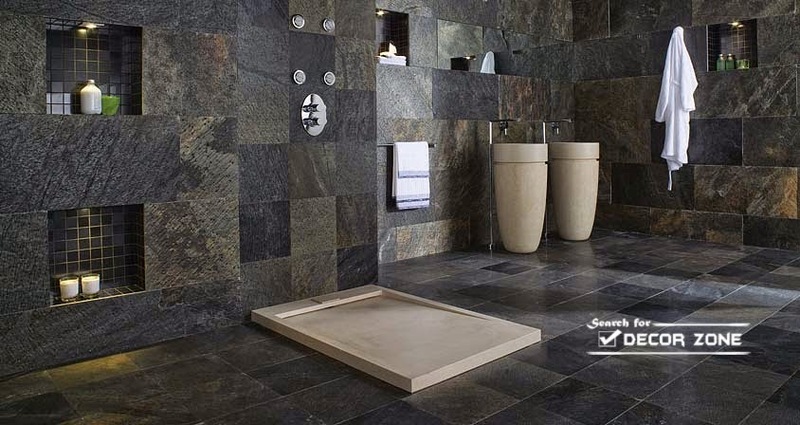 You can choose the bathroom floor tiles from the same collection as the wall. This possibility is always provided by the manufacturer. In this case, you avoid the risk of guessing the perfect color combination. Recently, a trend is clearly to combine floor and wall tiles of different collections and manufacturers. For example, if you have very cool-colored walls, you can experiment with the floor and make it either dark or choose a tile with some unusual patterns. Always up to date performance marble floor tiles or natural stone. And if you also have a wall of marble, then stick to the same strategy on the floor almost certainly. 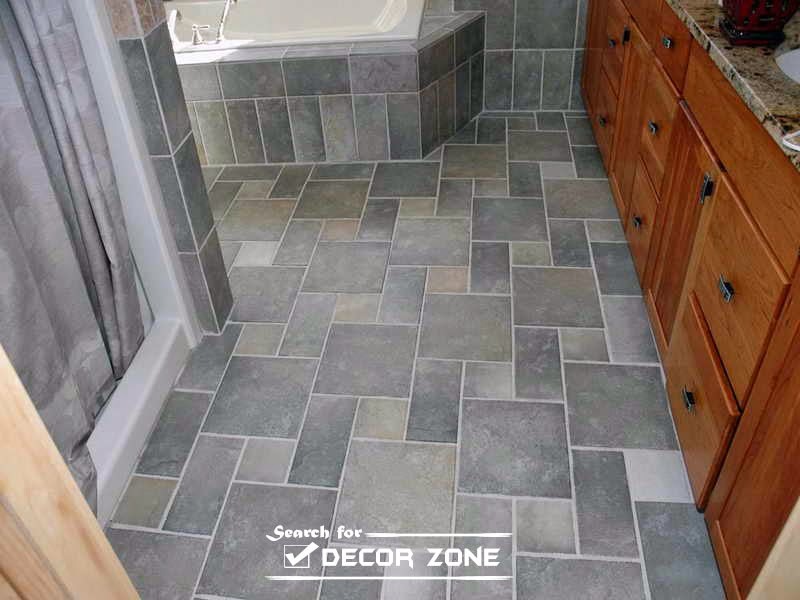 If you know in advance about where the bathroom carpet will be located and what size it will be, wise to this pave the way for another phase of tile layouts. After the floor mat will hide part of the coating, and it is possible that it will break even visually drawing. To avoid this, choose either single color coating - it can be shaped tiles, mosaic, covered with interesting texture. Ideally, the carpet should be contrasted to the floor covering. It would be good if you pick it under the towels in the same color scheme. Although, of course, not excluded cases are very scrupulous selection of colors when the floor and carpet are just one piece. Do this, I confess, is quite difficult, but the result is impressive.